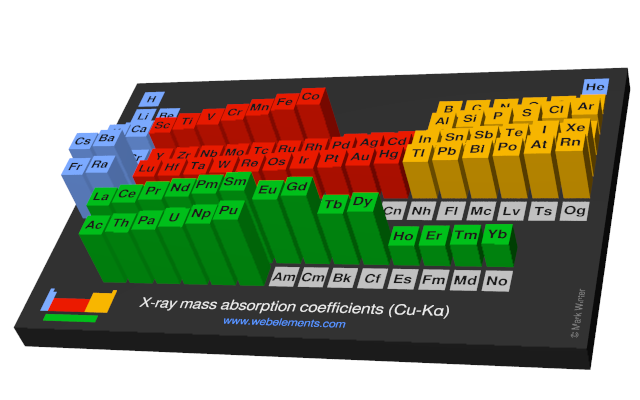 Image showing periodicity of the chemical elements for x-ray mass absorption coefficients (Cu-Kα) in a periodic table cityscape style. 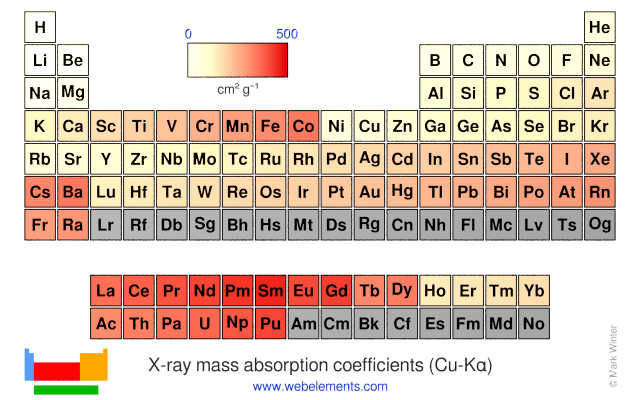 Image showing periodicity of the chemical elements for x-ray mass absorption coefficients (Cu-Kα) in a periodic table heatscape style. 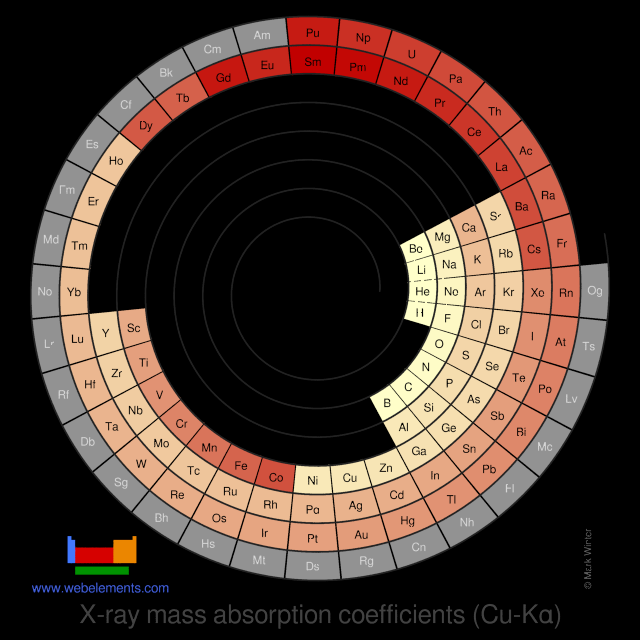 Image showing periodicity of the chemical elements for x-ray mass absorption coefficients (Cu-Kα) in a spiral periodic table heatscape style. 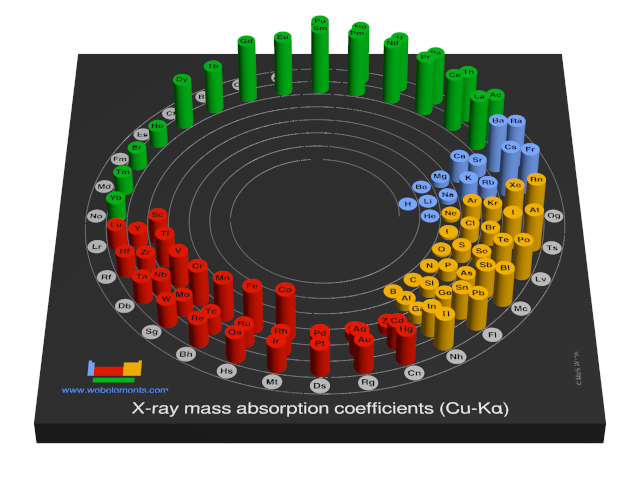 Image showing periodicity of the chemical elements for x-ray mass absorption coefficients (Cu-Kα) in a 3D spiral periodic table column style. Image showing periodicity of the chemical elements for x-ray mass absorption coefficients (Cu-Kα) in a 3D periodic table column style. This page gives links to graphical information for Cu-Kα.